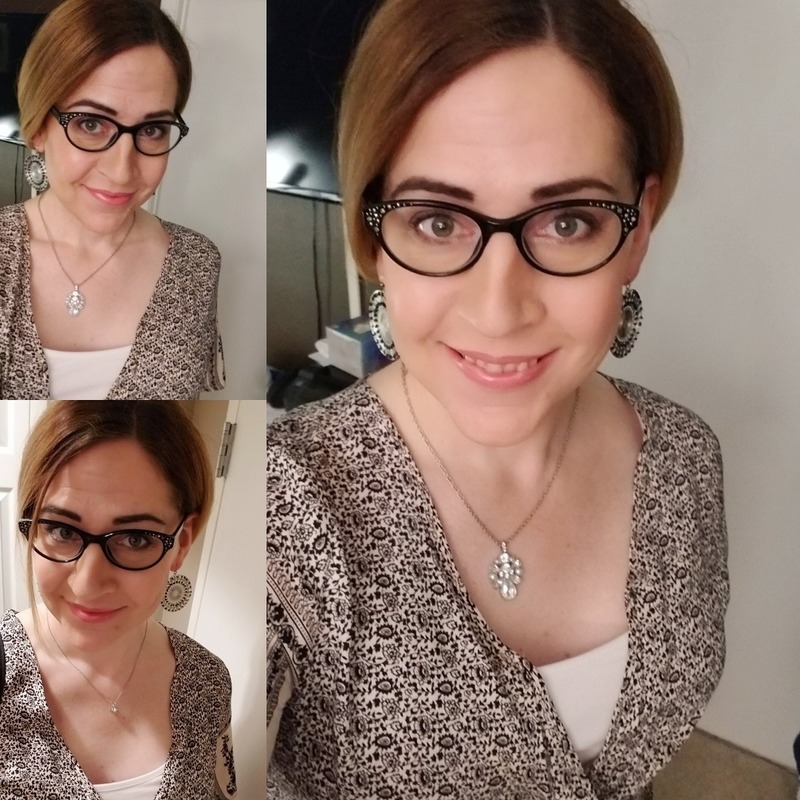 My look for the office today.. most of it courtesy of Charming Charlie, even the top 😉 I made a last minute necklace change and wore the smaller one. I spent about an hour tonight talking with a trans girl that is about to have her surgery. She is facing what I faced almost 6 months ago. She said talking to me helped put her mind at ease. I was honest with her that it is going to be the most difficult thing she is ever going to do. However, in my case it was all worth it. I mean all of it. The years of it constantly being on your mind as you save and prepare and go to appointment after appointment after appointment.. and after you fight for the chance to even have the surgery by jumping through all of the insane hoops and fight your way past the gatekeepers.. it is worth it.. the electrolysis in areas that would make the toughest person cry.. even having family members you love cut you out of their life.. worth it.. why? It’s simple. When you are trans, you don’t need to apologize for taking steps to bring your body into alignment with who you always have been and you should not second guess yourself because of others hatred or misunderstanding of you. The end result, is being whole. I will never take this for granted. I will never forget how privileged I am to have gotten to this point. I will never regret. Not every single person has a happy ending with this risky surgery, but most of us absolutely do. As promised, I will continue to do as I have for the past 3.5 years and write about my experiences. Talking to this intrepid young woman reminded me yet again how strongly an example to follow impacts those who need to take the same steps. There are lots of us on social media putting ourselves out there for others who need it. I hope as more make this journey that more will continue to share those journeys. It takes effort to take the time to do this. It also can be hard to relive difficult times to help others, but the importance of it makes it all worth it. Also.. I like posting selfies.. so.. might as well keep adding words 🙂 teehee >.